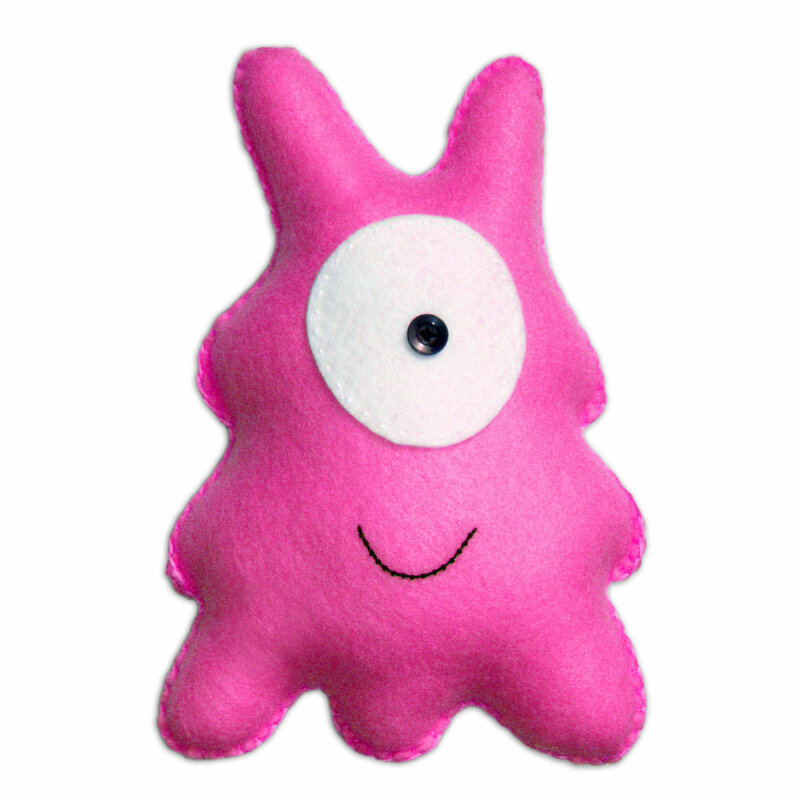 Oli is a magenta monster with two very big eyes and a lopsided smile. He measures approximately 21cm x 22cm. 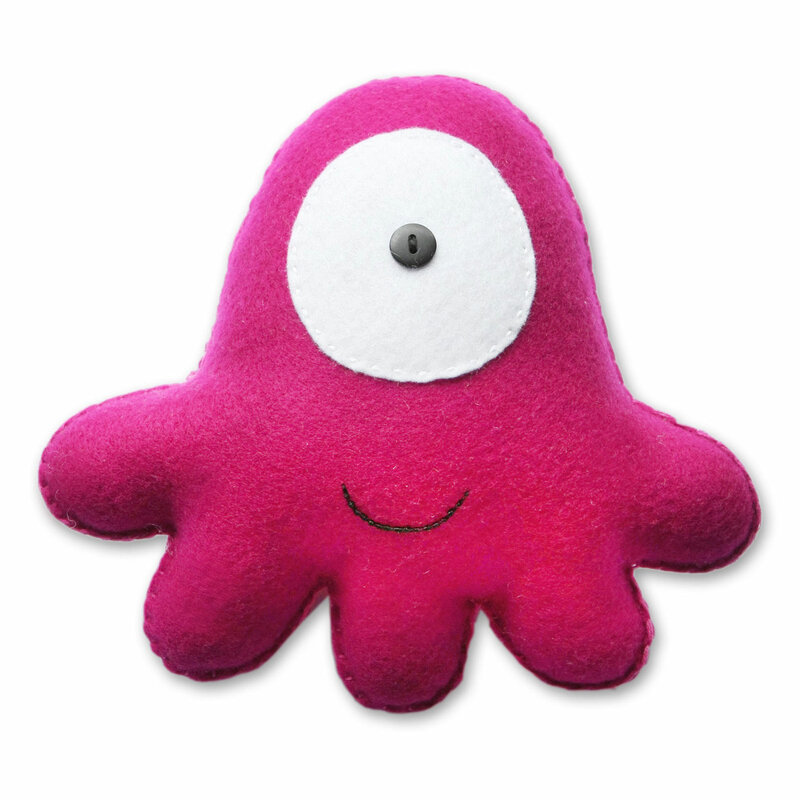 Babua Soft Toys are exclusively designed felt plush toys which are completely hand sewn in Australia from the finest materials. 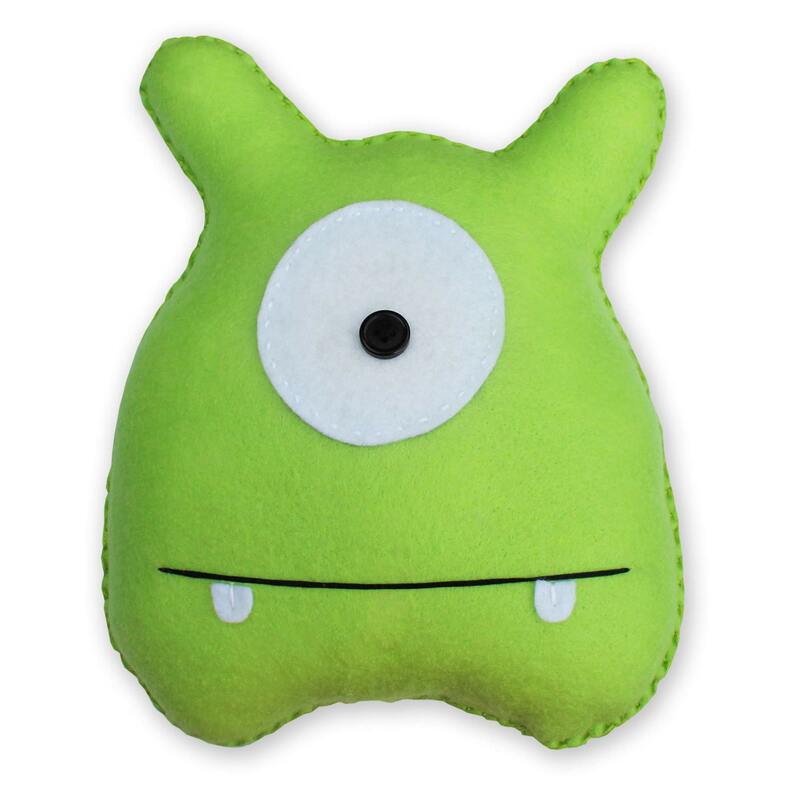 They make a cute companion for all ages and can be collected or given as gifts. All our toys come with their very own unique swing tag. 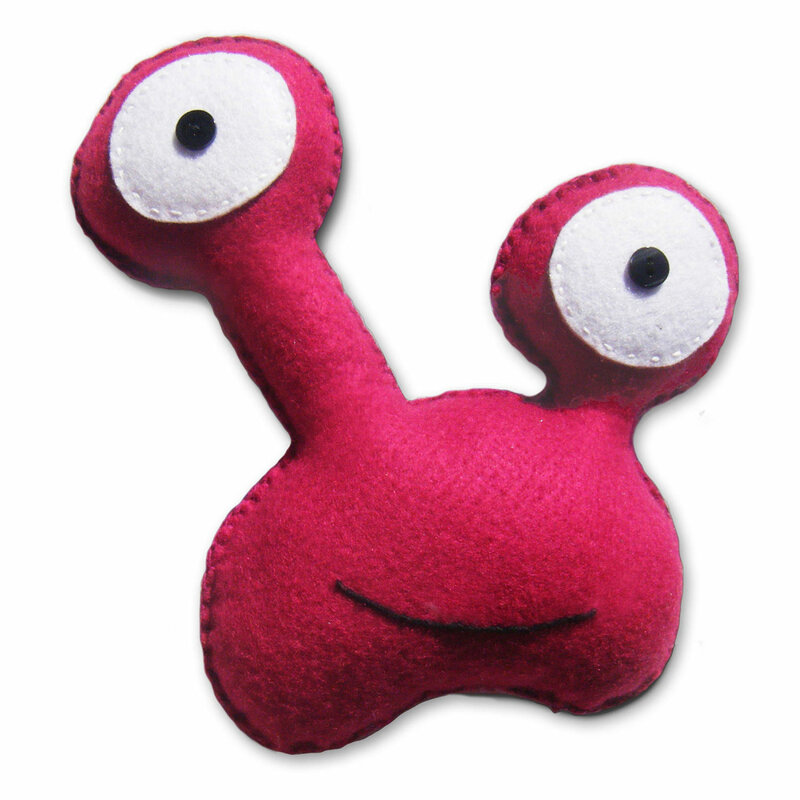 As our toys contain small parts (buttons) they are not recommended for children under 3 years. Due to the handmade nature and delicate felt fabric, machine washing is not advised. We recommend spot cleaning with a damp cloth or a careful hand wash.
© 2019 Babua Soft Toys. All rights reserved. Website by BVN Creative. 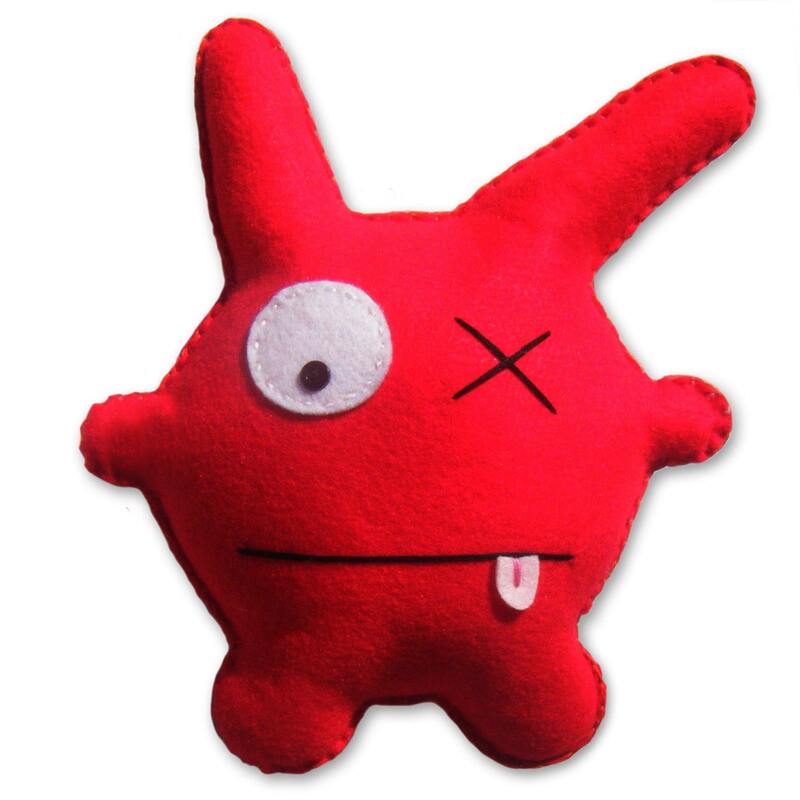 Online shop powered by WooCommerce and PayPal.